As the Tony Awards (Tonys) get distributed at the Radio City Music Hall this Sunday evening, viewers who tune into the ceremony on CBS will recognize some big Hollywood talent siting among the crowd. These 9 stars have displayed their versatility on-screen and have made themselves accessible through taking on roles in theatrical productions. From Academy-Award winning veteran Denzel Washington, to respected theatre figures like Rachel Weisz, the following actors and actresses choose to challenge themselves both on screen and on stage. Neil Patrick Harris is well known as an awards host and as Barney Stinson on “How I Met Your Mother,” but what he’s less known for is his ongoing theater gig. Recently starring in “Hedwig and the Angry Inch,” a rock musical, Harris won the Best Leading Actor in a Musical on Sunday. Bryan Cranston, who rose to fame after playing Walter White in the “Breaking Bad” drama from 2008 to 2013, was been nominated for Best Leading Actor in a Play in his first theater appearance. 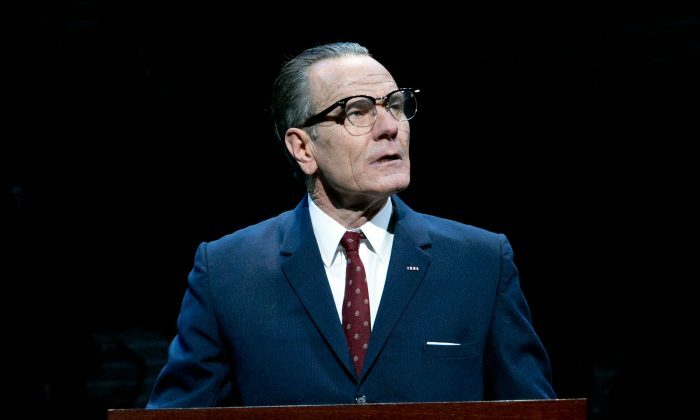 In “All The Way,” Cranston played former U.S. president Lyndon B. Johnson. Hugh Jackman is a theater veteran. Before taking to the stage, Jackman had smaller parts in numerous TV series. His first role in theatre was part of the cast of the 1998 play “Oklahoma!”. Jackman most recently performed in an original Broadway production “The River” and hosted the 2014 Tony’s Awards show. This Hollywood veteran and Academy Award winning actor is a familiar face on screen, but he’s also pure talent when in comes to theater. This year Denzel Washington was cast as Walter Lee Younger in a revival of “A Raisin in the Sun.” He’s also been in the Broadway revivals of “Julius Caesar” in 2005 and “Fences” in 2010, and other plays in the ’90s and ’80s. James Franco also has a long-standing reputation as a Hollywood hunk, and although his theatrical break begun recently, he’s already achieved praise for his most recent theatrical tragedy “Of Mice and Men.” Franco also directed a play with dance, music, and poetry performances at NYU in 2011. He’s known for his roles in Hollywood comedies like “Bridesmaids” and “This is 40,” but actor Chris O’Dowd has recently made his more serious debut in the theatrical play “Of Mice and Men.” The play is based on the John Steinbeck novella that tells the story of two ranch owners displaced ruing the Great Depression in California. O’Dowd plays alongside James Franco and Leighton Meester. This article was updated after the Awards ceremony to reflect the most up-to-date information.